On Wednesday night during a performance of “Fiddler on the Roof” at Baltimore’s Hippodrome Theatre, an unidentified man stood up and shouted pro-Nazi and pro-Trump salutes. The classic play is about Jewish themes. The man's outburst made some people in the theater believe they were witnessing the beginning of another deadly attack. 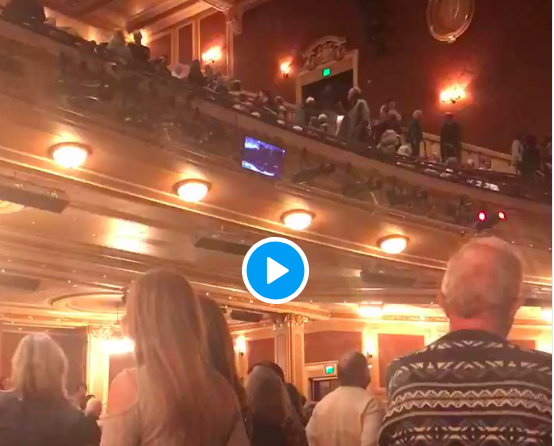 In the video below taken by a theater audience member, the audience reacts after the unidentified man interrupts the "Fiddler on the Roof" performance at the Hippodrome Theatre. “Fiddler” tells the story of a Jewish family as it faces persecution in tsarist Russia. It’s based on “Tevye the Dairyman,” a fictional story originally written in Yiddish. The play opened Tuesday and runs through Sunday in Baltimore. A spokesman for the Hippodrome could not be reached late Wednesday. Other than that, how was the play?